C.D. Numancia went down 1-2 to Rayo Majadahonda at Los Pajaritos in what was the first-ever official visit of the side from the Madrid suburbs to Soria. The Sorianos squandered countless chances in front of Basilio’s goal, while the visitors were on target in the decisive moments of the game. Iriondo’s side came out at Los Pajaritos looking confident, they were relaxed and had few problems reaching their opponents’ area. They took on Numancia, a side who are normally dominant at home and usually end having most of the ball. Today they did too, but without controlling the areas that, in the end, make the difference in modern football, while Rayo Majadahonda got it right when it came time to striking for the first time in the match. A good move by the left-footed Benito down the right flank ended in the Numancia area, and Luis Valcarce brought down his opponent, earning the visitors a penalty. Only 17 minutes had gone by, and it was Iza who stepped up to take the spot-kick. He beat Juan Carlos to open the scoring. The early goal did Numancia a lot of damage, and it took them a while to react and get back on top again. Diamanka almost equalised with a headed attempt from a good centre from the left wing, but it was deflected and went high and wide. Pichu Atienza had a similar try a little later, but his header also went wide by a little. With Numancia looking to equalise and Rayo Majadahonda trying to grab a second goal on the break, the first half went by and ended with the visitors holding on to their lead and the hosts frustrated. After the restart, Lopez Garai’s side took a step forward. Unai Medina came on for Luis Valcarce while Marc Mateu and Alain Oyarzun swapped places on the wings. Oyarzun was therefore on the ‘wrong’ wing while Mateu took up his most natural position. The game was now all Numancia’s, whose attacks came in waves. Marc Mateu was a constant threat down the left wing, but Numancia also tried down the right and through the inside with Fran Villalba and Diamanka. The Senegalese striker had the two best chances to level the scores, but the ball seemed not to want to go into the visitors’ net. In the first one, a good move through the middle ended with Diamanka shooting from near the penalty spot. The ball was headed goalward but struck Borja Viguera on the back and rebounded wide. Minutes later, Marc Mateu, in another move down the left, found Alain Oyarzun at the far post who teed up Diamanka. It was just a question of tapping the ball into the net from a metre out but, incredibly, Diamanka skied it over Basilio's crossbar. 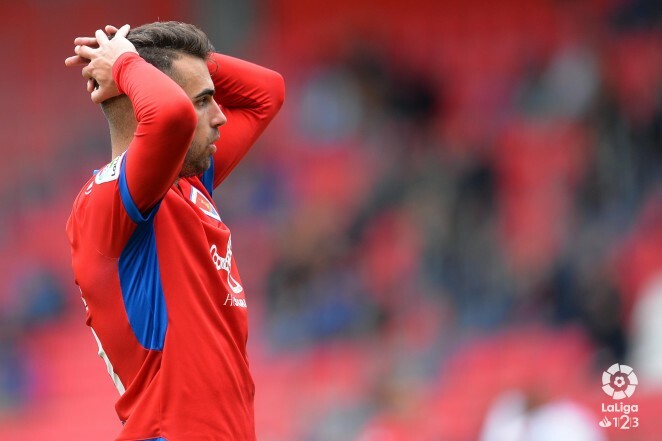 Numancia were still in search of the elusive equaliser, while Rayo Majadahonda defended as best they could, not without order and discipline. With just 15 minutes to go, however, when the umpteenth Numancia attack broke down in the visitors’ area, Rayo mounted a deadly counter-attack which ended with Aitor García striking the second. Desperation for Numancia, both for the players and the fans. Although it was clearly not their day, Numancia kept trying until the end but it was the visitors who took the three points from Los Pajaritos. Alain Oyarzun came close to closing the gap with a threaded shot that skimmed the post. In the 94th minute Borja Viguera had a penalty that could have made the score more respectable, but the keeper got a hand to it and parried it out wide. In the ensuing play the ball came back into the centre and fell to Fran Villalba, who slammed it into the net. There was no time for any more, though, and the referee blew the final whistle of a game the Sorianos will likely want to forget. C.D. 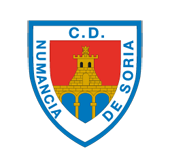 Numancia: Juan Carlos, Kako, Escassi, Luis Valcarce (Unai Medina, m. 46), Alain, Atienza, Guillermo (Borja Viguera, m. 56), Marc Mateu, Markel (Jordi Sánchez, m. 75), Fran Villalba and Diamanka. C.F. Rayo Majadahonda: Basilio, Benito, Morillas, Andújar, Óscar (Galán, m. 70), Enzo (Fede Varela, m. 55), Rafa, Isaac Carcelén, Aitor Ruibal, Aitor García (Jeisson, m. 83), Varela. Referee: Pulido Santana (Las Palmas Committee). Assisted by Carreño Cabrera and Ortiz Pérez. Yellow cards for Pichu Atienza and Markel, Numancia and Benito, Andújar and Morillas, Rayo Majadahonda. Goals: 0-1. Minute 17. Isaac Carcelén, penalty. 0-2. Minute 75. Aitor García. 1-2. Minute 95. Fran Villalba.